The Swift was the inspiration for, and the Godfather of, the Shaper Series. 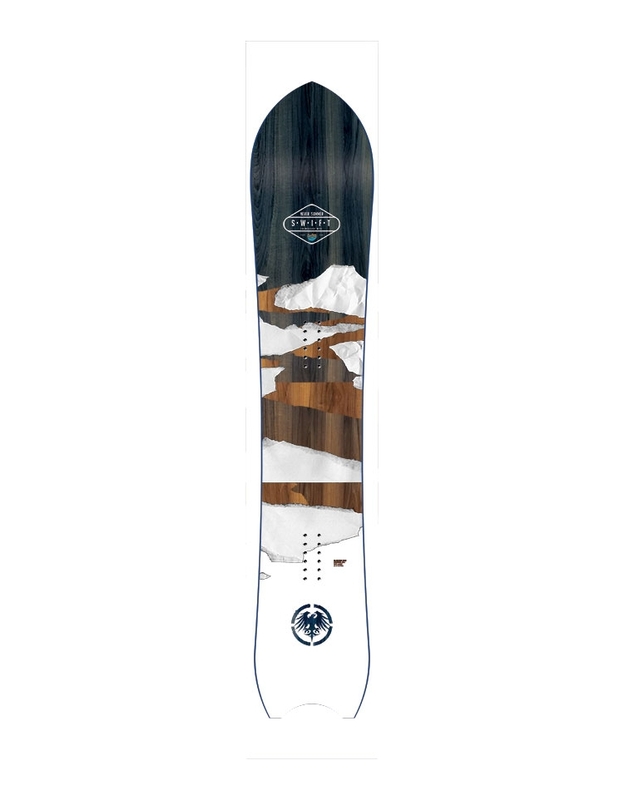 Originally we set out to make the greatest powder board of all time. We succeeded, but it turns out we actually made a board that was incredible everywhere. The Swift features the greatest amount of taper in the Shaper Series, with awesome everywhere performance, in or out of POW. The Fusion Rocker Camber is like the Original Rocker camber profile, but it has a much bigger transition area on the nose of the board, which helps to give the Swift crazy float in deep snow. Designed to be ridden forwards, exactly the way the body wants to go. Float through powder with effortless style, and power down runs at lightning-fast speeds. RDS 1 Damping System - Laminated damping layers run along the full length of the effective edge, which gives you the stability for high spee riding, but still keeps the tip and tail of the board lighter. Sintered P-Tex Sidewall - Never Summer were the first to use P-Tex sidewalls, which can handle colder temperatures than standard ABS sidewalls.